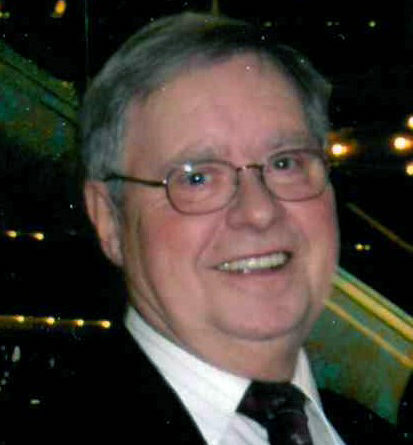 Carl R. Schulfer, 78, of Stevens Point, died Sunday, Sept. 30 at home with his loving family by his side. Carl was born to William and Bernice (Garski) Schulfer on May 9, 1940, in Stevens Point. He attended St. Joseph Elementary School and Pacelli High School. Carl was united in marriage to his one true love, Mary Ann Slowinski on June 5, 1965. They proudly celebrated 53 wedding anniversaries together. He retired from Joerns Furniture and then spent much of his time caring for his grandchildren. He was the drummer for the Hermie Bella band and the Harmony Stars. He spent many years playing for church picnics, weddings, and polka masses throughout Wisconsin. He was an avid sports fan and enjoyed watching the Brewers, Packers, and Badgers. He loved camping, listening to his collection of polka/classic country CD’s, and most of all spending time with family and friends. Carl and Mary traveled to many destinations, including Branson, Mo., Tennessee, and a polka cruise to Jamaica. Carl’s greatest joy was being with his family and especially his grandchildren. He is survived by his wife, Mary; their children; Sandy (Robert) Crawford and Paul (Sheila) Schulfer; their grandchildren; Eliza Schulfer, Adam Crawford, Ashley Crawford, Emma Schulfer and Evan Schulfer; sister Patricia (John) Slowinski; along with numerous other relatives and many friends. Carl was preceded in death by; his parents; his brother John. A mass of Christian burial will be held at 10:30 a.m. on Thursday, Oct. 4, 2018, at St. Joseph Catholic Church Stevens Point. Rev. Jerzy Rebacz will officiate. Burial will follow in the Guardian Angel Cemetery. Visitation on Thursday from 9 a.m. until time of service at the church. Pisarski Funeral Homes of Stevens Point & Plover are honored to be serving the Schulfer family.